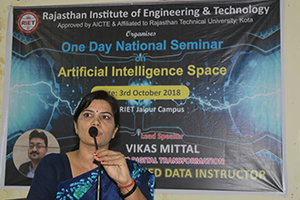 The Rajasthan Institute of Engineering & Technology organized a seminar on ARTIFICIAL INTELLIGENCE SPACE on 3.10.18. The main speaker on this occasion was Mr Vikas Mittal, CEO 360Digital Transformation. 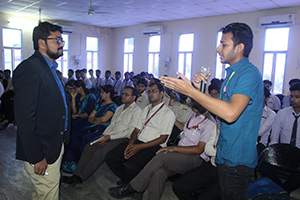 He was accompanied by Mr Pankaj Mittal, Head training operations at 360Digital Transformation and Mr Ashish Mittal. Chairman BOG RIET, Mr R S Tomar also graced the occasion on this day and welcomed the guests. 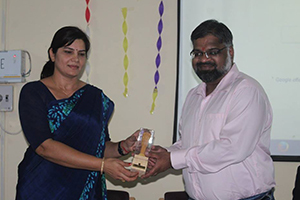 Mr Vikas Mittal was extended a floral welcome by, Principal RIET, Dr Saroj Hiranwal. Dean Academics & Admin, RIET, Prof. Kapil Dev Sharma welcomed Mr Pankaj Mittal and Dr Sachin Sharma, Vice Principal, RIET welcomed Mr Ashish Mittal. The session was attended by all HODs, students and faculty members of RIET. 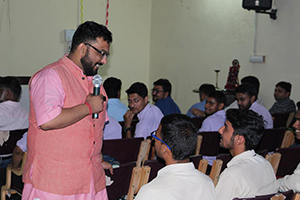 Principal RIET, Dr Saroj Hiranwal, said that the workshops of this kind help students to be aware of various techniques used in the sector of IT today. In the twenty-first century, AI techniques have experienced a revival following concurrent advances in computer power, large amounts of data, and theoretical understanding; and AI techniques have become an essential part of the technology industry, helping to solve many challenging problems in computer science, software engineering and operations research. 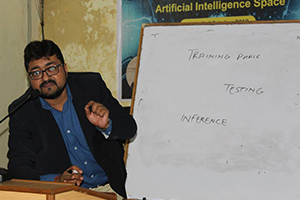 Dean Academics & Admin, RIET, Prof. Kapil Dev Sharma said that Artificial intelligence (AI) is an area of computer science that emphasizes the creation of intelligent machines that work and react like humans. Dr Sachin Sharma, Vice Principal, RIET, expert lectures of this kind helps the students and faculty members to remain updated in this field which is changing every day. 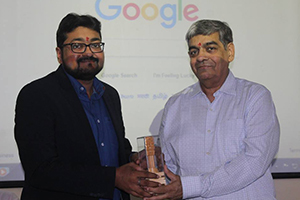 Prof D D Johari, Advisor Training & Placement, expressed his gratitude to Mr Vikas Mittal and his team for giving their valuable time and imparting knowledge on ARTIFICIAL INTELLIGENCE SPACE.